Thanks to: Guinea-Bissau government, Associação Ubuntu (especially Jorge Lopes Queta, Pamela Ferreira and Djamila Gomes), Centro Cultural Franco-Bissau-Guineense, family and friends who gave me strength and courage to write these songs. Kanamalu covers themes ranging from political and social issues to emotions and the importance of family. In its formation were the feelings and thoughts that reflect my way of seeing and experiencing the world, family, my culture and my country. Nho Sabá Sabá and Democraci Bunha speak of the need for unity among the people in order to create better governance of the country. Daly Manhe, Djarabi-lé and Kanu speak of a greater emotion that is love and the duality that exists between the joys and sufferings in that same love. As a griot I could not help paying homage in this work and I point out two in particular: to my mother (in Ululalu) and to my daughter (in Anhonté). In Saia I mourn the death of my father. In Kanamalu I stress the importance of being a griot and encourage other colleagues to be proud of their profession. In Samá I encourage my people to work harder; in Tonha Fó as a counselor I advise of the need for truth; and in Djanfá Manhe I give guidance to end envy because it only brings suffering and disintegration of families. On his third album, Kimi Djabaté – singer, musician and composer from Guinea-Bissau – strengthens his place among the griots who keep alive and present the centuries-old Mandingo tradition of West Africa, always maintaining his distinctive voice and his own words to sing about important and topical issues. In Kanamalu – which follows the acclaimed Teriké (2005) and Karam (2009) – Kimi Djabaté asserts himself definitely as a griot but also as a songwriter who imbues the roots of the music of his ancestors with subtle influences from other music genres such as blues, gospel, soul and even Portuguese fado. Kimi Djabaté is a more-than-perfect example of these words: his music faithfully follows the principles of the culture to which he belongs; yet at the same time it belongs to him alone, and him and his studio and road colleagues. His words tell similar stories to thousands of other ancient griot stories – the call for justice and peace, honour of ancestors and close relatives, respect for women – but applied to his own life, his reality, his country: the demand for democracy, harmony and peace in Guinea-Bissau; the mournful eulogy of his father; a tribute to his mother and his daughter; or the appeal to griot colleagues to never give up this profession. Kimi Djabaté was born in 1975 – the year of independence for Guinea-Bissau – in the village of Tabato where his ancestors, who were griots who originated in Mali, had settled for decades. His music features traditional instruments including the balafon, kora and water drum, alongside guitars, bass and drums. It’s music that travels constantly between the past and the future, between native Africa and elsewhere in the world, between joy and sadness (and many other feelings throughout). It is an art, in the words of Scorsese, which is never standardised or mechanised; and which is always a human exchange. A human exchange: secular, shared not only between the griots that preceded him – those living receptacles of ancient teachings – and Kimi Djabaté, but as between him and his musical companions on this record: Braima Galissa (kora), Renato Chantre (bass), Sadjo Cassamá (guitar), Nelson Costa (guitar), Kabum (congas, water drum), Lay Traoré (djembe), Tony Batt (drums), Soraia Delgado (backing vocals) and Maritza Bossé (backing vocals), with fadista Susana Travassos as a special guest on Djaraby-lé. 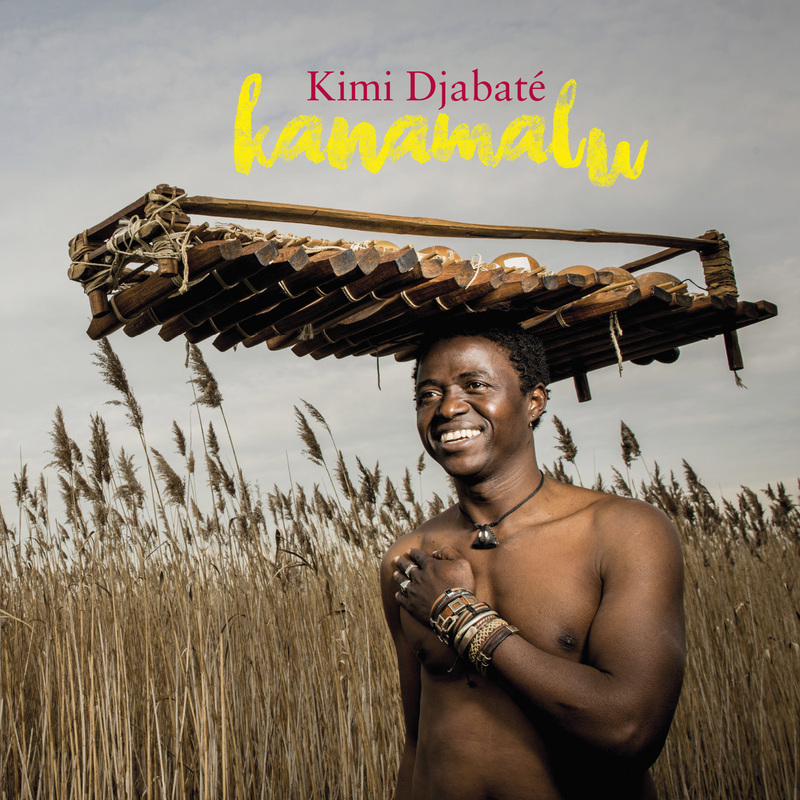 Kimi Djabaté sings in Mandinka and plays balafon, guitars and percussion.